Your professional momentum is like a seesaw. A teeter totter. One day, you are motivated and energized. Then, the next day, you are overwhelmed by all the stuff on your tactical To-Do list. 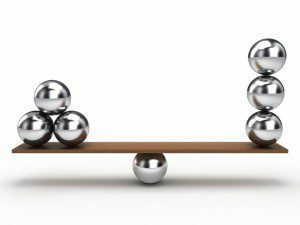 When professional momentum is not always front and center, you never seem to have professional balance. A consistent starting point for each day’s forward momentum. Instead, you experience a lot of professional ups and downs. And it becomes more and more difficult to recover from the lows and regain the momentum to achieve those highs, once again. Think about it. Why should professional development be less important than daily tasks to be fulfilled on behalf of your employer and clients? Maintaining professional momentum creates value. Regardless of “what you do” in the workplace, you are hired to do more than just complete rote tasks. Even if you are working in a toxic environment, with less-than-stellar leadership. Do you approach the workplace with this perspective? How Yesterday’s performance compares with your performance Today. Because when you start comparing your own performance from one day to the next, then you become accountable for improving it. And not only that. You also become responsible for creating better and better performance Tomorrow and in the Future. That realization stops the up and down dynamics of what you do in the workplace each day. Instead, a balanced starting point is achieved, instead of a daily seesaw. Professional innovation is all about continuously targeting, and then maintaining, professional momentum. If you do not regard yourself, your job and your performance seriously, no one else will. Regardless of the type of workplace you function in. Even if you are a leader, rather than a follower. As a result of taking yourself more seriously, you become aware of areas in your own professional performance which require improvement. And the decision you make next becomes the difference between remaining in an order-taker role or starting to regard yourself as an innovator and a more effective leader. When you maintain professional momentum, you continuously seek opportunities for improving performance and acumen. Now, you are in charge of the future of your career. You are not waiting, hoping and engaged in wishful thinking that someone will tell you what you need to do next. That professional self-realization, in turn, catalyzes you. As a result, you become increasingly more curious about opportunities available to you. And, more importantly, you start exploring other opportunities which may be one millimeter outside of your current professional comfort level. Or, current professional competencies. Looking to recharge your professional momentum? Take a look at my Professional Recalibration Mini Program I’m offering through end of summer. It may be just what you could use right now. Then, professional momentum evolves into what you decide to do next. Because when you are invested in your own professional development, you become less risk-averse and more invested in yourself. You believe in yourself more and more, as well. That is when there are no workplace downs, anymore. Instead, it is all about starting off balanced and then targeting the ups, and the opportunities. Because, ultimately, once you discover your professional momentum, you outgrow your current role or job function. You – and co-workers – begin to see yourself with new professional eyes. And, most importantly, so will new employers. What are you waiting for?